The acquisition of Kevin Durant has officially evoked labels of “Super Team” on the Golden State Warriors. Whether the connotation is positive or negative will vary depending on the fan, but as powerful as the core 4 of the Warriors is, they still need to be surrounded by key role players to be a successful squad. The news resonating out of the post-Durant signing euphoria is that a beloved role player is diligently being sought to return to the team. 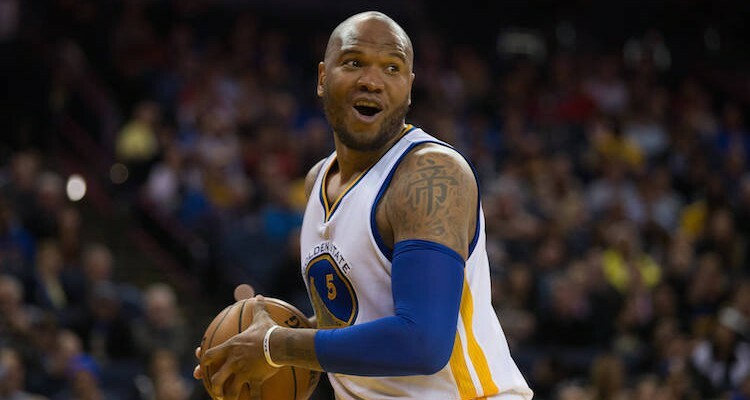 Marreese Speights is being courted as a potential returnee to this Warriors’ team, according to Adrian Wojnarowski of The Vertical. 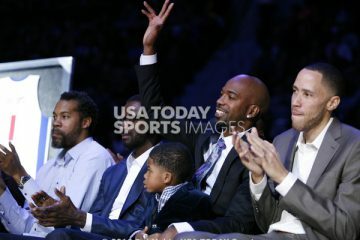 The logistical realities of this reunion are that Speights would essentially have to take a huge discount to return. Whether he’d be enthusiastically willing to do that remains to be seen. 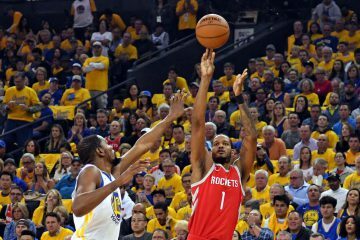 Although the Warriors have devoted a disproportionate amount of cap space to their core players, it shouldn’t be daunting to be able to fill out their roster with veterans who’d be willing to take the league minimum to play for a team that has the potential to be one of the greatest squads in NBA history. Young players may still want to cash in on their talent before it’s too late, but aging veterans may wish to head to the Bay Area to chase some rings before their career ends. This puts the Warriors in an advantageous situation of being appealing enough to realistically be in play for solid veteran role players who would be willing to sacrifice money to be a part of something special. Whether Speights qualifies as one of these guys is yet to be determined. He made about $3.8 million last year, and had another extremely productive season. 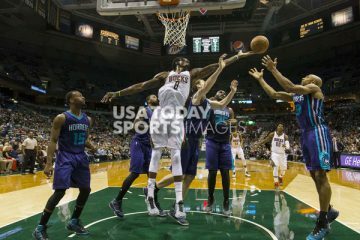 He’s instant offense off the bench, averaging 7.1 points per game in just 11.6 minutes per game. He even added a 3-point shot to his repertoire. As a catch-and-shoot guy 18 feet away from the basket above the elbow, nobody inspires more confidence than Mo Buckets. He earned that nickname for a reason, and his infectious smile after hitting some shots in rhythm after entering a game lights up the arena (or if they’re on the road, demoralizes the arena). I’m really hoping that they can find a way to bring Speights back. If he wants more money somewhere else, nobody can fault him for that. But Golden State is on the verge of building something truly remarkable. Having Speights continue to hit rhythm jumpers off the bench for this squad would be fantastic. The ball is in his court now, and although he could definitely make more money elsewhere, no team gives him a better chance to win a championship than this one. Playoff money is nothing to sneeze about. Figures out to about $6 million if you run the table..